Karon Living Room Hotel, Thailand Holidays 2019/2020 – Book Online. Explore the breath-taking beauty of Phuket from the comforts of the Karon Living Room, just a short stroll away from the glorious golden sands of Karon Beach. Ideal for friends or couples, the hotel provides the perfect base for those looking to enjoy exotic and exhilarating experiences during an unforgettable Thai getaway. The hotel’s simple, yet stylish rooms provide all the modern comforts guests need to rest and recharge their batteries in between adventures. A restaurant is also available on-site to ensure travellers have all the energy they need to be able to get the most out of their holiday. A stunning underwater world awaits those who take the plunge on a snorkelling or scuba diving trip off the coast of Karon Beach, while a number of waters sports can also be enjoyed above the waves. Jungle trekking and elephant riding are also unmissable attractions for those seeking to see the wild side of Thailand. Those feeling a little less adventurous could pay a visit to the weekly market in the grounds of the Wat Suwan Khiri Khet Buddhist temple, the perfect place for souvenirs, local delights and Thai street food. So if you’re seeking palm-fringed beaches and far-flung adventures, the Karon Living Room could be the ideal pick for your next exotic escape. 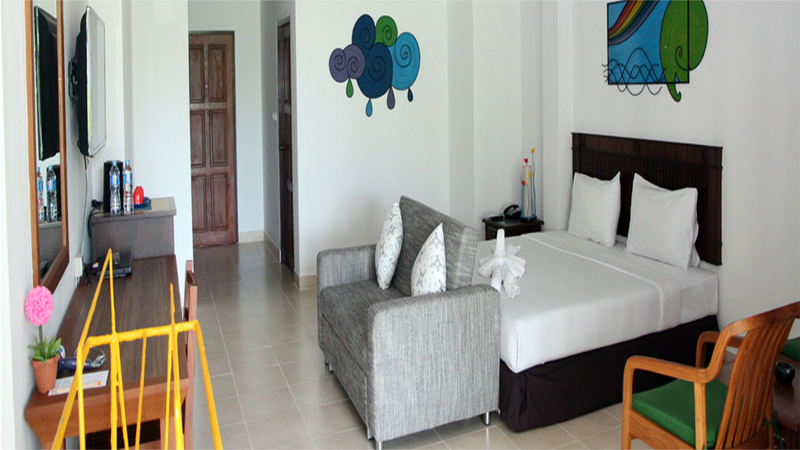 Karon Beach is approximately 850metres away from the Karon Living Room. 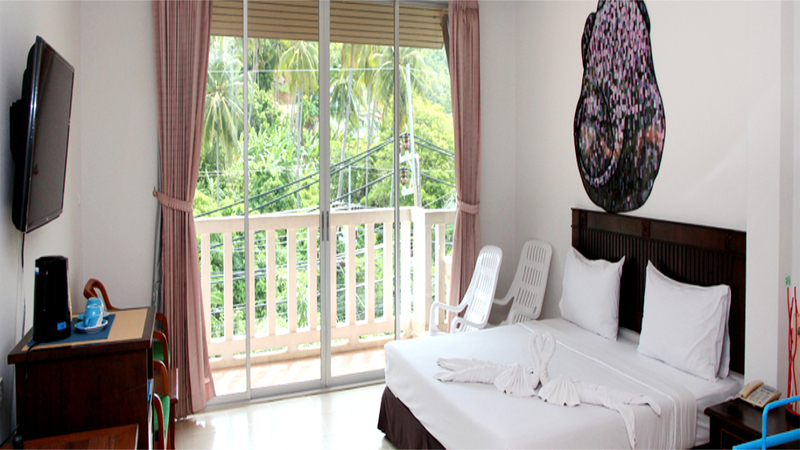 The Karon Living Room is close to a number of shops, bars, cafes and restaurants in the resort of Karon Beach. 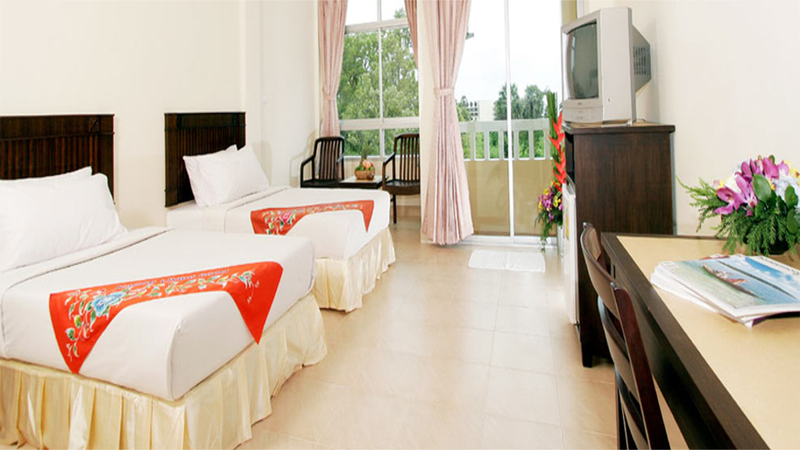 Phuket International Airport is approximately 47km away from the Karon Living Room. Guests staying at the Karon Living Room can enjoy a meal in the hotel’s restaurant. A number of restaurants can also be found just a short stroll away.